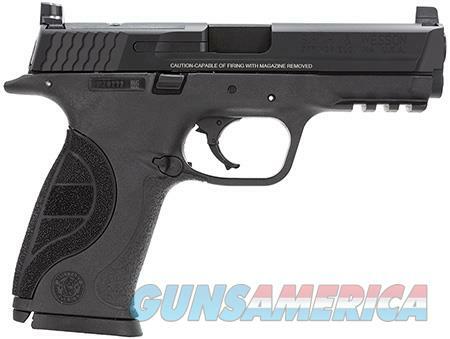 SMITH & WESSON INC 40 Pro Smith & Wesson 178060 M&P 40 Pro with C.O.R.E Double 40 Smith & Wesson (S&W) 4.25" 15+1 Black Interchangeable Backstrap Grip Black Stainless Steel Smith&Wesson M&P pistol is an experience you have to feel to believe. It is built on high-strength polymer frame reinforced with a rigid stainless steel chassis. The Performance Center M&P 40 Pro Series bridges the gap between main production and the Performance Center pistols. his model is optic ready, with S&W C.O.R.E (Competition Optics Ready Equipment), a specialized platform for adding accessory optics and is engineered to accept six popular styles of competition-based optics. It also features three interchangeable grip sizes, two magazines, Picatinny-style rail, and a no thumb safety.